The area around our nation’s capitol is rife with history. In northern Virginia, Early American and Southern Colonial styles of architecture and design are popular and showcased at every turn. You can tour some of the most elegant homes in the history of the United States and never leave northern Virginia. Just like Monticello and Poplar Forest, both breathtaking examples of the Jeffersonian era, many of the regions loveliest historic homes are on display for your enjoyment. These charming abodes can offer so much inspiration. From the decor to the gardens, the style of manors in and around northern Virginia has been repeated through the decades. The classic historic manor in northern Virginia is typically Jeffersonian in style, with columned entryways and arched porticos, deep red brick, surrounded by lush, rolling grounds and gardens. Whether an architectural original or a replicated home, paying homage to the genteel style, Jeffersonian architecture is synonymous with the mid-Atlantic region of the late 1700’s. 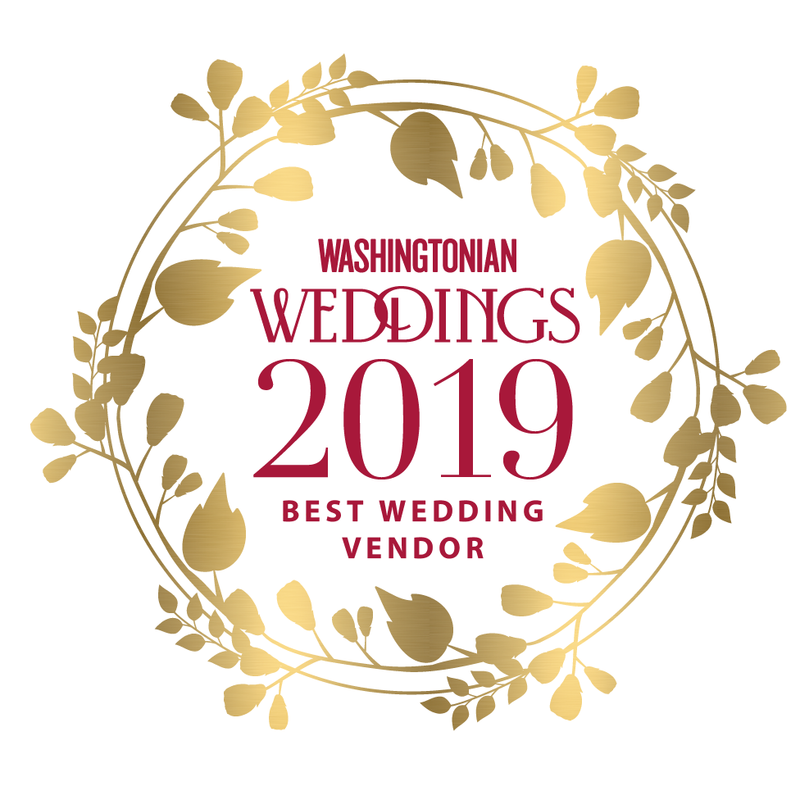 Moreover, the area which is now Virginia, Maryland, and D.C.
As a venue for weddings, corporate and social events, manor homes in the region are gaining in popularity. When you host your gathering in a Virginia manor home, you’re sure to gain kudos for your sense of style. Large, impressive entryways leading to chandelier-adorned grand ballrooms, with Palladian windows looking out onto breathtaking countryside is the pinnacle of prestige for partygoers and event attendees. Manor homes in Virginia also incorporate the outdoors. The gracious aesthetic of the home easily flows out onto a patio, where guests can enjoy the view, and get reacquainted. From the days of Thomas Jefferson to today, residents of the Old Dominion have proudly shown off our natural beauty. Of course, finding a manor home which incorporates all of these characteristics, and is offered for private use, can be difficult. Many of the area’s manor homes are privately owned, or not available for weddings, private parties, and such. Still others may capture some of the elegance, but not offer the full package of stunning manor home, and exquisite landscaping, tucked away from the hustle and bustle of busy towns. Rose Hill Manor, in historic Leesburg, showcases all of the historic and classic elements of a true Jeffersonian home. We can tailor our northern Virginia manor home to meet your specific needs, no matter the size of your guest list. Our venue is tucked off the road, set amidst 23 beautiful acres of prime Blue Ridge property. From our gracefully columned entryway, to our sprawling patio (the largest in the state! ), your guests will be charmed and impressed. And what a romantically classic backdrop for your event. At Rose Hill Manor, our events are memorable, creating impressions that last a lifetime. Your wedding, bar-mitzvah, or corporate gathering will take place in a setting that’s far more than simply a venue. Contact Rose Hill Manor and get ready to transport your guests to a time of elegance and grace. Northern Virginia boasts a bevy of natural and historic beauty. From the breathtaking Blue Ridge mountain range of Appalachia, to the colonial architecture, to our appreciation of nature and all things wild and wonderful, northern Virginia is rich in soul soothing aesthetics. No one recognized the beauty of our region more than Thomas Jefferson, 3rd President of the United States. Anyone who has visited Jefferson’s primary residence, Monticello, Outside of Charlottesville, Virginia, understands the appreciation Jefferson had of enduring beauty. From the gardens to the grounds to the home itself, Monticello is a grand display of enduring natural and architectural beauty. It’s as if the grandeur of the home and lush loveliness of the grounds echo Jefferson’s sentiment, “Whenever you do a thing, act as if all the world were watching”. Jeffersonian style of architecture dates back, obviously, to the mid-to-late 18th century, when Thomas Jefferson himself began building and rebuilding his homes and retreats. Many of the changes Jefferson, a self-taught architect, made to his Monticello home, were ideas he had garnered in France and Italy during his tenure as ambassador in Europe. Red Brick - Central Virginia’s soil is primarily red clay. These bricks reflect the local environment, and make use of original resources readily available in the late 18th century. White Columns - White painted columns, with classic moulding, are easily the most recognized characteristic of the Jeffersonian style of architecture. The columns stand out against the red brick and bespeak the elegance of this classic accoutrement. The Jefferson-Style elongated white columns are repeated throughout the region and considered uniquely inspired. Serpentine Walls - Inspired by Italian and French undulating exterior walls, the classically Jeffersonian serpentine walls are ingenious. The graceful weave of the bricks creates a serpentine pattern, which reinforces the strength of the wall itself, while lending a graceful appearance to the home’s exterior. Arches - Authentic Jeffersonian architecture makes great use of the arch, both inside and out. Arches offer the perfect complement to the dignified columns gracing the home’s exterior and entryway, and create an open, polished air to the homes interior. There are several additional interior characteristics of Jeffersonian architecture as well. The Italian-inspired mezzanine to replace a full second story is a fine example of forward-thinking use of space. Palladian windows allow natural light to flood the home, and a large central hall, and atrium foyer are architectural devices still popular today, more than 225 years later. Proving, architecturally, Thomas Jefferson truly was the “Sage of Monticello”. For a taste of Jefferson’s graceful and unmatched style and elegance, consider hosting your next event at Rose Hill Manor. Our classic Jeffersonian manor sits on 23 idyllic acres, making Rose Hill the ideal venue for weddings, corporate events, retirement parties, bar mitzvahs or any event. Contact Rose Hill Manor, in lovely, historic Leesburg, VA, to plan your next event to remember. You may have found the wedding venue that suits both your dreams and bank account, but there are a few other matters that need not be overlooked before you book. Some of the most common mistakes couples make when choosing a wedding venue can create anything from an inconvenience for the guests to a total logistical nightmare, and make your wedding celebration memorable for all the wrong reasons. Location - Whether you’ve opted for a destination wedding, or you’ve decided to host your festivities closer to home, location is key. Is the venue easy to find? Make sure all of your guests can find their way to your wedding venue, and don’t assume. If possible, make a dry run yourselves and note any landmarks that could help guests find their way. Be sure to include directions in with your invitations. Accessibility - For out-of-town guests, make sure your venue choice is accessible from the airport, the nearest hotels, and not off the beaten path. Many couples opt for Friday evening weddings. If your wedding is on a Friday, consider local rush hour traffic. Perhaps opt for a later start time to accommodate those who will be traveling through otherwise congested areas of town. Take stock of the on-site parking, and, if necessary, make arrangements with a shuttle service to take your guests to and from a central location. Style - Your wedding venue says as much about the style of your wedding as your attire. If you’re hosting a black-tie affair, having your ceremony in a field in July isn’t the best choice for you or your guests. Likewise, many more formal venues, such as country clubs and upscale hotels, wouldn’t be a practical venue for boots and denim. Go online and find photographers who’ve posted photos of previous weddings at your venue. Guest Count -Your guest list will dictate the size of your venue. A small, intimate wedding can have all of the opulence and grandeur of a royal fete, given the right venue. Likewise, a large guest list can be accommodated in a way that is both elegant and relaxed, where guests can mingle and spend time reminiscing. Consider your guests and their comfort, as well as your own, when choosing your wedding venue. Weather -For the bridal couple whose perfect day includes an outdoor ceremony, cocktail hour, or dancing on the patio, weather is a key concern. While it’s impossible to force mother nature’s cooperation, you can make sure your venue provides accommodations for inclement weather. In the summer, canopies and umbrella tables can help screen your guests from harsh sun, and fans can keep the moving when the heat and humidity are too much. Consider a sunset wedding with a celebration in the cooler part of the day. Professional Help -Check to ensure the type of help you’ll receive from the venue. Will you have assistance every step of the way, or do you just have help on the “day of”? This is important to know ahead of time, especially if the venue isn’t close to your home. You’ll need “boots on the ground” to prevent any snafus leading up to the day of your perfect celebration. Selecting a wedding venue is about so much more than simply finding a place to get married. At Rose Hill Manor, we can put all of your concerns to rest. Your day should be a beautiful celebration of the two of you and the beginning of your life together. Leave nothing to chance and look at every possible scenario when choosing your venue. You want your day to be memorable, for all the right reasons. You’ve announced your engagement, and the planning begins. Now you’re faced with countless decisions regarding your perfect wedding day. From attire, to music to be played, to the menu, and so on, there are many choices to make. Before things become too overwhelming, learn to prioritize those decisions according to importance. Size - Your ideal wedding venue needs to accommodate your guests, and your budget. You may have imagined an intimate and casual ceremony on the beach, followed by a small gathering of friends and family at a local restaurant. While this might be your idea of a perfect day, a guest list of more than about 50 people can make such a wedding very difficult. Wedding Theme - For those who plan a full-on black tie affair, a rustic venue is never a good idea. Making your friends and family trudge around a rustic venue in formal attire is asking a lot. On the other hand, a simple, boho chic, or low-key affair can be overshadowed by the country club atmosphere. Decide on the style and formality of your celebration, and choose a venue that matches. Logistics - Next to size, the location of your venue is one of the most important considerations when planning your wedding. For those who choose a destination location for the aesthetic quality, consider how your guests’ travel requirements. Is there a nearby airport? Are there options for hotels in the area? Is there a transportation service to shuttle your guests to and from the ceremony and reception? And don’t neglect to figure the cost for transportation, and even an organized brunch the following day, into your budget. Menu - It’s wise to have a menu in mind before you select your venue. Many venues are open to-and even encourage-outside catering for the reception. However, some venues, such as hotels, with their own in-house catering services, have very specific menus for weddings. Additionally, bar service can be up-charged for parties in venues where this service already exists, such as hotels and restaurants. And many restaurants and hotels will charge a fee for the cake to be cut and plated. Ceremony and Religious Restrictions - Some religions require the ceremony be inside a house of worship. Find out ahead of time, and choose a venue close to your personal house of worship, or consider having the ceremony separate from the reception and celebration. Once you’ve narrowed your prospective venues, talk with the staff and, if possible, other couples. Make sure you visit the venue more than once, and try to visit when another wedding celebration is taking place. Find out contingencies for inclement weather, should your celebration include an outdoor ceremony, or cocktail hour. Research the reviews of your preferred venues online. Rose Hill Manor offers the best of all wedding options. Our ample patio can serve for you and your beloved to exchange vows in an outdoor ceremony, surrounded by guests, in breathtaking natural splendor. Our classically elegant ballrooms provide the right amount of grace and gentility to impress, and lend a stunning quality to your wedding photos. Our wedding venue encompasses all of the most popular, and memorable, details for your special day, contact Rose Hill Manor. Celebrating your wedding in a vineyard setting seems a lovely choice. The sun sets golden over lush vine covered rows of grapes, as the two of you take your vows, surrounded by friends and family. As the bridal party is whisked away for pictures against this glorious backdrop, your guests meander the grounds, enjoying a glass of wine and nibbling on perfectly paired canapés. A vineyard venue is a popular choice for many of today’s wedding couples for these very reasons. When all goes according to your expectations, it can, and will be a memorable event. However, it’s more common than not that events fall short of perfection, and your vineyard wedding won’t be without some setbacks. Take a look at the list of reasons a vineyard wedding is a wonderful option, and those equally-compelling reasons why this venue may be an invitation to tempt fate. Why Choose a Vineyard Venue? Stunning Photo-Ops-What can be more striking than the rows and rows of vines, leading to your ceremony site? A vineyard can provide breathtaking backdrops for your precious wedding pictures. Bear in mind, this is a vineyard in operation, however, and plan accordingly. Some growers prefer not to have weddings take place at peak harvest time. Charm and Elegance-Very few wedding venues project the rustic charm and casual elegance of a vineyard. Though not for those who desire a formal wedding, a vineyard wedding is slightly more polished and refined than a field-and-farm venue. The Wine-For the wedding couple who enjoys a good glass of vino, a vineyard venue serves as the ideal spot. Not only are the wines typically very good, but the vineyard as a theme, can reflect your shared interests and passion. Cost - Serving as a wedding venue is secondary to producing wine for a vineyard. Closing the vineyard to the general public can potentially be a big hit to their revenue, resulting in higher venue rental fees than you will sometimes see at venues that specialize only in event rentals with no retail component. Bar - Most vineyards are not set up, nor licensed, to serve hard alcohol. If you want something in addition to wine served at your wedding, reconsider this venue. Noise Ordinances - In the rural areas surrounding most vineyards, there may be a noise ordinance, which could end your party as early as 10:00 pm. Make sure to inquire about area ordinances. Limited Weather Options - Check out the options available for you and your guests, in case of foul weather. Is there an aesthetically pleasing location where you and your guests can enjoy dinner, and dancing? Or would you be escorted to a less pleasant location, for makeshift accommodations? Rose Hill Manor, in Leesburg, Virginia, can provide many of that which makes vineyard weddings so desirable, yet with all of the comforts of a traditional venue. Our lush, rolling grounds are gorgeous, creating a perfect ambience for an outdoor ceremony, complete with the backdrop of the serene natural beauty of the Blue Ridge Mountains-ideal for memorable photographs. In the case of inclement weather, our ballrooms, and Entrance Hall can accommodate your guests in comfort and elegance. You choose your own caterer, florist, and decorations, giving you the freedom to make your day truly unique, as special as your love. To find out more about creating your perfect day, with all of the benefits of a vineyard, and none of the risks of a multi-tasked venue, contact Rose Hill Manor today. We vow to make your wedding the day of your dreams. There comes a point in the planning that every bridal couple begins to feel as thought they’re putting together a championship team. Choosing the vendors who will play a big role in your special day is no easy task. By following a few simple tips, you can be sure the team of vendors you’ve chosen for your wedding celebration will lead you to victory. Or at least a perfect wedding day! By now, you’ve already selected your venue, so you have an idea of what kinds of vendor services you’ll need. Some wedding venues provide caterers, set ups, bartenders, and servers. Other venues offer you more control. The more vendors you need, the more likely it is that you’ll need to hire a wedding planner. This is especially true for those couples planning a destination, or out-of-town wedding. You can ask your wedding venue for referrals, or find a list on one of the online wedding sites. Meet with a few different planners, if possible. Not everyone is a good fit, and you don’t want a planner you don’t feel you can approach with your wants and concerns. Once you’ve chosen your wedding planner, begin attending every single bridal fair and industry event you can possibly find. And don’t worry-you will get inundated with invitations to bridal fairs as soon as you change your Facebook status! Take your fiancé, or someone whose opinion you value, with you. Caterers, bakeries, florists, photographers, and any other vendor essential to your perfect day, will attend these functions. Bridal fairs are the best place to start your search for the ideal vendor. Don’t rule out startups. Very often the new-kid-on-the-block is the most eager and willing to do just about anything to get your business. You can set up a tasting with the bakery, or the caterer to make sure they have a worthy product, or ask the photographer for an engagement session prior to contracting with them for your wedding photos. Visit the florist and ask the makeup and hair artists for an “audition”. Budget is important, but don’t try to go “on the cheap”. Go with the best you can afford. Should you ask for a quote from the caterer and it comes back slightly out of your league, ask for a discount. But, never ask for a discount up front. This is the vendors’ livelihood and you don’t want to offend anyone. It’s important to meet your vendors face-to-face, or at least over Skype. You want to get a feel for who these people are and whether you can feel comfortable working together. Will they listen to you and hear what you’re saying, or are they dismissive, and overbearing? These are traits that can’t be sensed over text or emails. Finally, because you’ve started the process early enough, you can take your time and do some homework. Interview the most sought-after vendors and compare what you see with those who may be just starting out. Taste the options for catering from several different chefs, and bakers, go hear the bands and DJ’s, and ask each vendor for referrals. Follow up with their previous clients, google them, look for reviews. Accept nothing less than vendors whose goal is to make your day perfect. Rose Hill Manor can recommend proven vendors in the Leesburg area, and will be happy to provide you with a list, upon request. Choose vendors dedicated to your social day. After all, your dream wedding begins with a dream team.